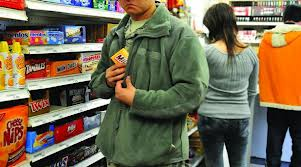 Shoplifting is perhaps is one of the most common theft charges in the State of New Jersey. Unfortunately, it also carries some of the most severe penalties. If you are convicted of shoplifting, you will you be looking at potential prison time and heavy fines. Beyond that, the damage to your personal reputation could be so extreme that you will find it difficult to maintain or secure employment for a very long time. That’s because a shoplifting conviction will be etched in stone on your permanent record and will show up on background checks. Your best hope of avoiding these devastating long-term consequences is to secure the services of an experienced attorney. Our law firm is a criminal defense team with years of experience and an excellent track record in shoplifting cases. We represent clients accused of shoplifting throughout Essex County, NJ, including Irvington, Maplewood, and South Orange. The firm’s founding partner, Travis J. Tormey, previously defended clients against shoplifting charges while working for two of the largest and most well-respected law firms in New Jersey. In fact, Mr. Tormey’s work on shoplifting cases has been cited by New Jersey media outlets. Additionally, we have a former county and municipal prosecutor on staff, which gives us an edge when we handle your shoplifting case. Contact us today at 201-654-3464 to speak with a member of our litigation team about your shoplifting charges. In the meantime, check out examples of our Successful Shoplifting Verdicts & Settlements. Additionally, a New Jersey prosecutor may be allowed to aggregate the amounts in a shoplifting case if the items were taken from different stores or retail establishments during a “continuing course of conduct.” This means that you could be subject to a higher-level charge and enhanced penalties. Keep in mind that there is a crucial distinction between second degree felonies and third degree felonies in the State of New Jersey. If your offense is classified as second degree shoplifting, there will be a presumption of incarceration. This means that even if you have no prior criminal convictions, you will be subject to a minimum mandatory term of incarceration. The lawyers at our office are prepared to assist you with your shoplifting case. You can call us anytime at 201-654-3464, or you can email us to schedule a free consultation at our Newark office.